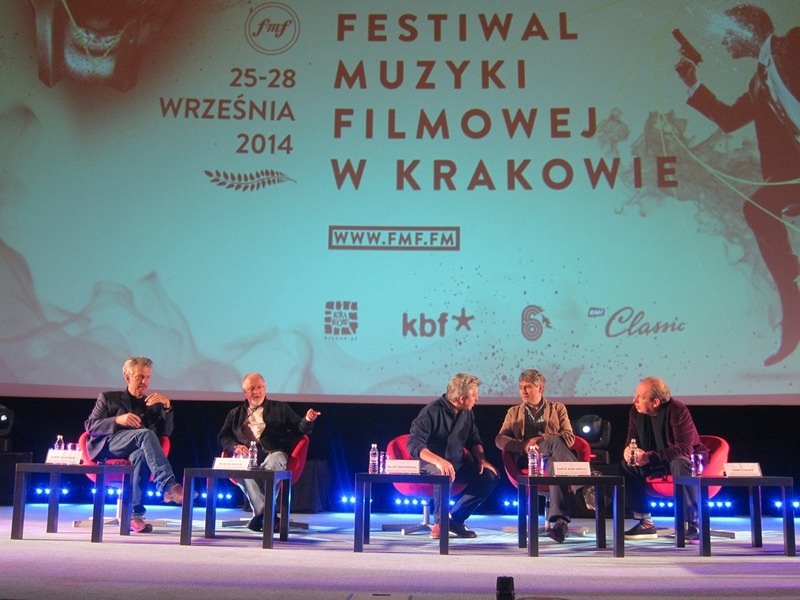 Krakow Film Music Festival in Poland has now reached its 7th installment, and it’s by far the biggest yet. 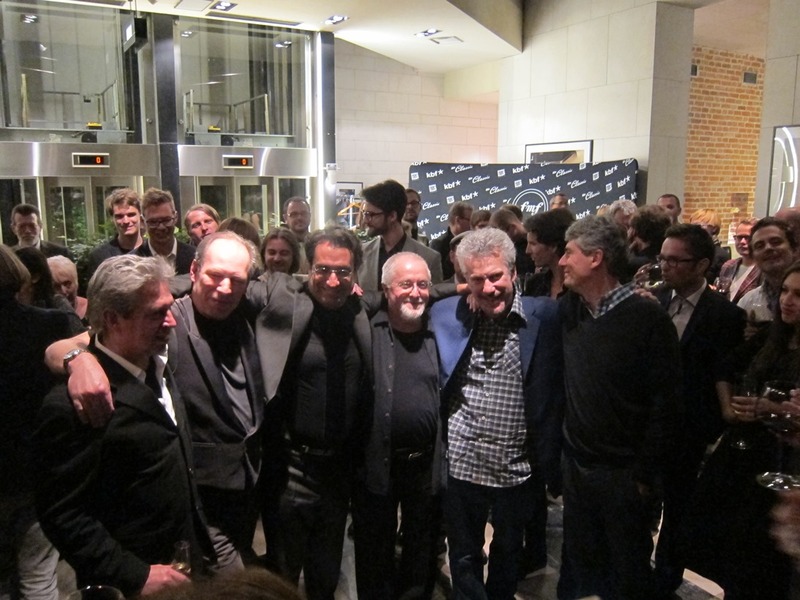 In fact, it may very well be the biggest film music event ever arranged in terms of sheer audience numbers and the level of concerts and activities. 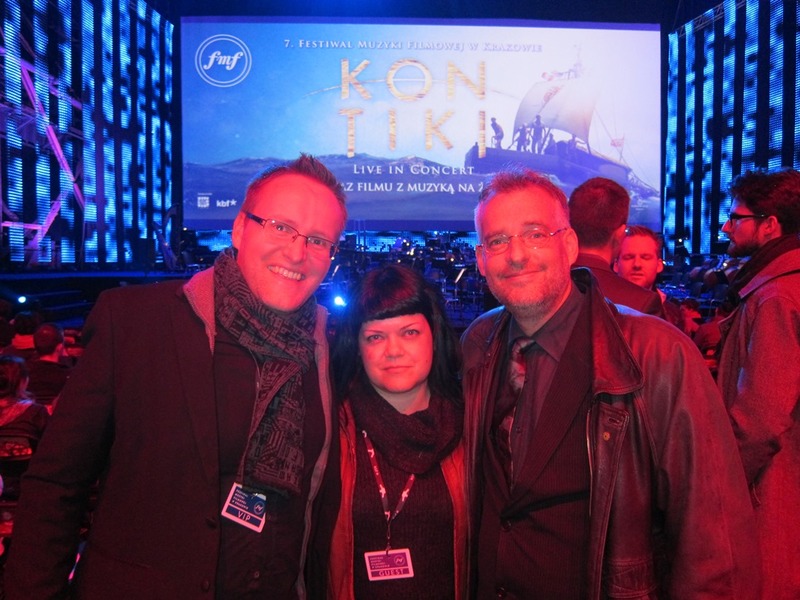 IFMCA members Thor Joachim Haga and Eleni Mitsiaki were present to take in the experience. From September 25th to September 28th we were treated to a series of film concerts, Q&As, master classes, workshops, competitions and much more, spread over a myriad of arenas across town and for multiple audience groups – to an extent that we’ve never seen before in any film music festival anywhere in the world. 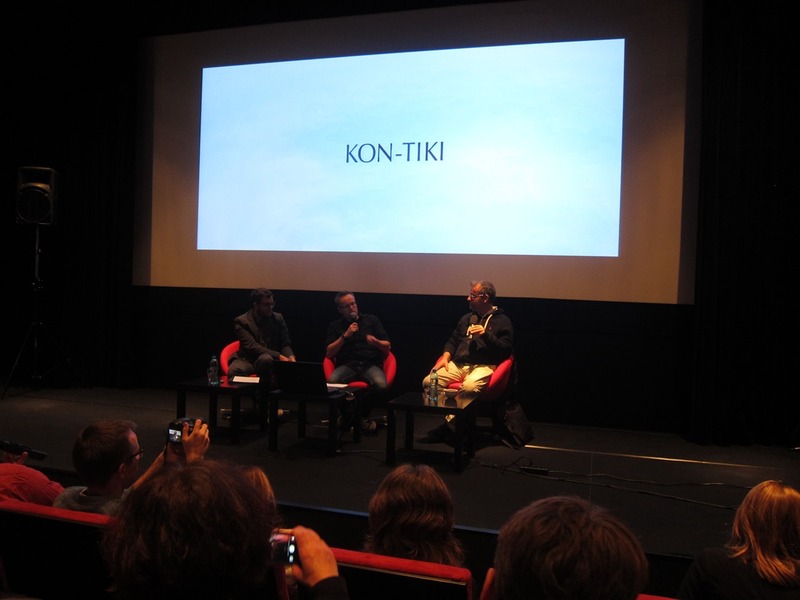 It all started on Thursday with a concert dedicated to the Norwegian-Scandinavian super-production Kon-Tiki (2012), a fictional retelling of the real-life adventures of Norwegian explorer Thor Heyerdahl who sailed from Peru to Polynesia on a balsa wood raft in 1947 – the most expensive film in Norwegian history. As usual, the live film concert was held in the active steel factory of ArcelorMittal about 30 minutes outside the Krakow city centre, accommodating some 2500 audience members in its moody, industrial setting. Johan Söderqvist’s wonderful score, encapsulating the mystery, intimacy and adventure of the story was performed impeccably by the Sinfonietta Cracovia conducted by Christian Schumann. This concert was accompanied by multiple events throughout the festival, including a Q&A with Johan Söderqvist hosted by IFMCA member Thor Joachim Haga. It was realized through a collaboration with the Kosmorama film festival in Trondheim, Norway, which will screen the event next year. On Friday, the main event was a concert dedicated to the songs and instrumentals of the James Bond franchise, a concept which premiered at the Fimucité festival on Tenerife earlier this year. Since no less than 10.000 tickets had been sold, the event had been moved to the gigantic multifunction venue Krakow Arena, where we were treated to an impressively spectacular light show and some of the best singers in Poland performing the classic Bond songs – from Dr. No to Skyfall. Krakow Philharmonic Orchestra performed under the baton of Spanish composer and conductor Diego Navarro. 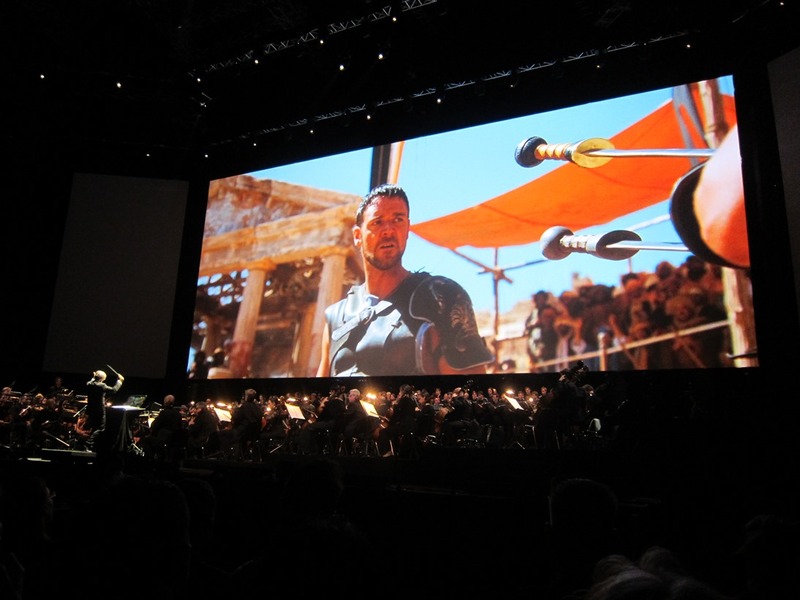 But even this was surpassed by Saturday’s event, a live film concert of Ridley Scott’s Gladiator (2000) with composer Hans Zimmer present, performed by the Sinfonietta Cracovia and the Pro Musica Mundi Choir conducted by Ludwig Wicki. This time, the Krakow Arena housed 14.000 paying audience members, surely some form of record for a film music concert. Unfortunately, singer and co-composer Lisa Gerrard had to bow out due to illness, but the Polish replacement singer performed the wordless, Middle-eastern vocals with haunting bravura. Sunday’s concert was certainly the highlight for this writer. Back in the ArcelorMittal steel factory, the American composer organization ASCAP celebrated its 100th anniversary by showcasing themes and suites from some of its major clients throughout the years, performed by the Beethoven Academy Orchestra and conductor Diego Navarro – both classics like Elmer Bernstein’s To Kill A Mockingbird (1962) and Alex North’s love theme from Spartacus (1960), but also suites by visiting composers Hans Zimmer (Inception), Dario Marianelli (Anna Karenina), Elliot Goldenthal (Batman) and Patrick Doyle (Frankenstein, Thor, Harry Potter and the Goblet of Fire). Several of these tracks had gorgeous, improvisational flute solos performed by American flutist Sara Andon. A definite highlight was the newly arranged Grand Gothic Suite by Elliot Goldenthal, made up of themes from Batman Forever (1995) and Batman and Robin (1997). Giant Batman logos lit up the sides of the stage as Goldenthal’s music rampaged its way through frenetic brass, satirical jazz and pounding percussion – highly appropriate for the industrial setting, and receiving appropriate standing ovations for several minutes. 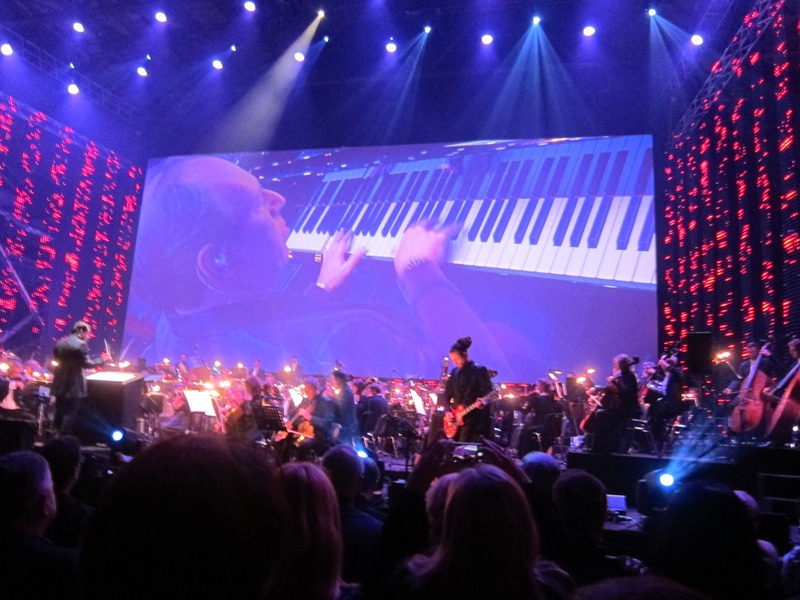 The concert ended with a long suite from Inception (2010) with Hans Zimmer himself on piano. Not too shabby, that one either. For film music fans like us, concerts like this, without or with very little film footage, might be more interesting than a film concert since it really allows all attention to be directed towards the music itself. In between these main concerts were a myriad of panels with all the visiting composers. Marianelli and Zimmer also received their own personal Q&A sessions that were filled to the brim with fans and industry professionals. 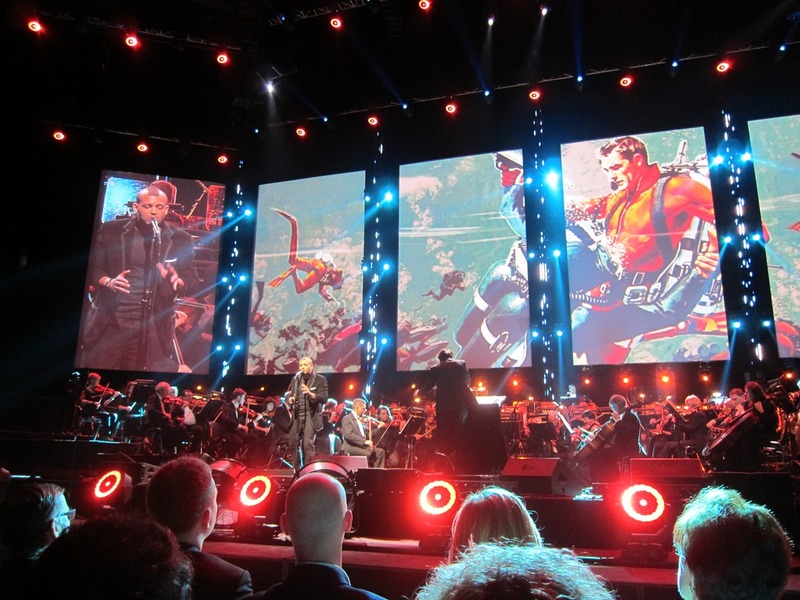 Not to mention several less ambitious, but no less interesting concerts, like a video game concert music led by video game composer extraordinaire Garry Schyman. Master classes were held each day – with Schyman on the art of game scoring, film music agent Maggie Rodford, members of ASCAP, composer and lecturer Richard Bellis, professor Daniel Carlin and many more. Several of them took place in the impressive ‘science fiction’-designed Alvernia Studios, home to several film music recordings of Polish and international cinema. Children were treated to their events, with the Bolek & Lolek Live Concert, based on a popular Polish children’s show, as well as the Young Way Into the Classic Concert, with famous film themes performed by the FMF Youth Orchestra. And I haven’t even begun to mention all the associated events outside the realms of film music. 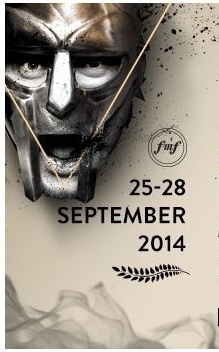 This year’s edition featured 35.000 guests in total, 100 guests and almost 80 events. Festival director Robert Piaskowski, FMF manager Agata Grabowiecka and the rest of the crew really outdid themselves this time, and set the new bar for all film music festivals to come. We can only hope that they’ll continue to provide the world with what is an essential platform for showcasing this wonderful art form, even if subsequent festivals aren’t at the same ambitious level. In either case, we’ll return next year.